The 'Kung Fu Panda' franchise has touched multiple generations. Co-Director Jennifer Yuh Nelson is delighted that the film series is being watched by people taking their children along who weren't even born when the first movie was released in 2008. She told BANG Showbiz: "It's quite amazing, we are showing this to people who have not been born when the first movie came out; little kids that are under 12 years old, we have been working on these movies for 12 years. "And they bring their kids, too. People have maybe seen it when they were teens, and now they bring their kids in." 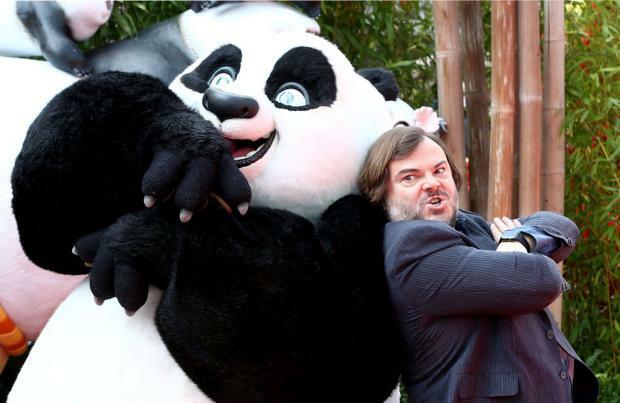 The film sees Jack Black lend his voice to the main character, panda Po, and also stars Kate Hudson, Jackie Chan and Angelina Jolie, whose children Pax, 12, Zahara, 11, Shiloh, nine, and seven-year-old Knox lent their voices to characters Yoo, Meng Meng, Shuai Shuai and Ku Ku respectively in the film. Co-director Alessandro Carloni added: "Like Jack Black and Angelina, who brought their kids to record characters in the movie, and they were not even born when they were working on the first movie. "I think the fun of this project is that you get new fans that love the show, but then the older ones that grew up with it, they don't want to let go of it they still come back to see because secretly deep down they love Po no matter what age they are." 'Kung Fu Panda 3' is set to hit cinemas on Friday (11.03.16).